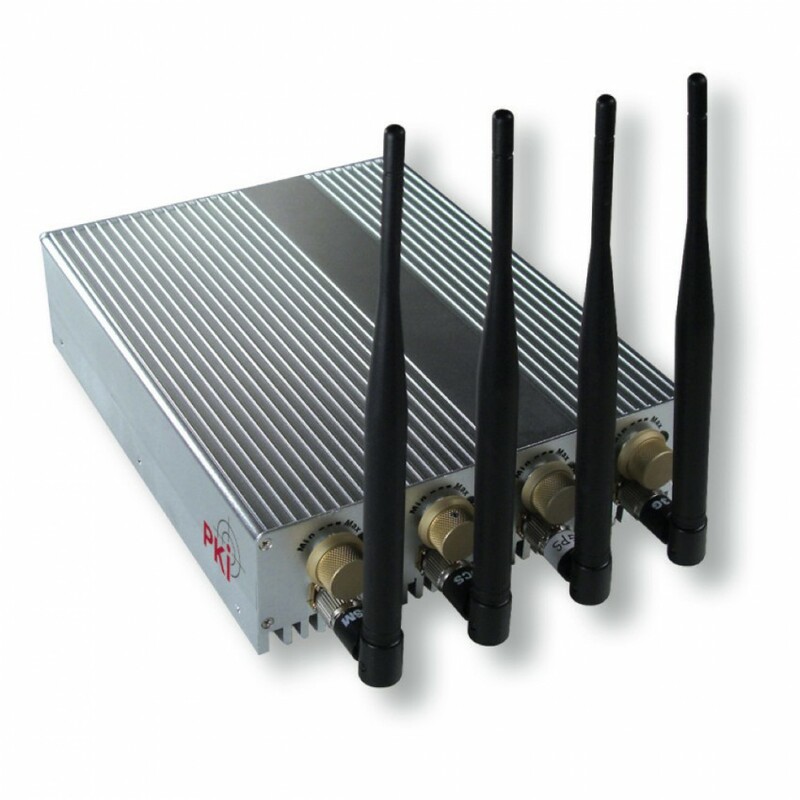 The PKI 1720 is a high capacity jammer for the 3G/UMTS frequency range, as well as for GSM frequencies. This highly developed jamming device is perfect for combination with our GSM monitoring systems and the GSM IMSI catcher. By selectively jamming the 3G/UMTS frequencies, all UMTS telephones in the operating area are switched into GSM mode. Once changed into GSM mode, they can easily be monitored with our monitoring systems. Its special advantage is its high capacity, which is of special importance during operation near UMTS base stations, in order to obtain the desired effect. It is possible to separately activate the single frequency ranges of the PKI 1720, which allows specifically targeted operation and an individual adaptation to any requirements.